35 Thoughts on Reader request: Whither Dr. Scholl’s exercise sandals? Oh, the memories of those shoes. I wore them everywhere for years. About once per summer I would make the mistake of running in them, and have them slide partially sideways so that my heel would come down on the very sharp edge of the shoe. That hurt so much that I still remember it decades later. I saw the “new ones” in a store last year – they looked way plastic and fake. The old ones were solid wood and, for better or worse, were rock solid. The new ones didn’t look that way at all. Oh, the memories of those shoes. I wore them everywhere for years. About once per summer I would make the mistake of running in them, and have them slide partially sideways so that my heel would come down on the very sharp edge of the shoe. That hurt so much that I still remember it decades later. I saw the "new ones" in a store last year - they looked way plastic and fake. The old ones were solid wood and, for better or worse, were rock solid. The new ones didn't look that way at all. Oh my gosh, I did that too! That’s a pain you don’t forget. Oh my gosh, I did that too! That's a pain you don't forget. I had a pair in 1982 or 83. But the ad could still be from the 70’s. I’m thinking at least 1980, post Preppy Handbook. But I had these in HS and I graduated in 1981. I'm thinking at least 1980, post Preppy Handbook. But I had these in HS and I graduated in 1981. If you look carefully you will see a copyright date at the bottom of the ad. I *think* it says 1983, but I could be wrong. I wore these sandals in the early 80s. Skirt lengths were all over the place. I vote for early 80s because of the polo shirt that gal is wearing, and the sweater around the neck. So very Preppy Handbook. Yes, I agree that it’s probably the early 80s. My high school years were ’79 to ’83 and this is exactly how we dressed. I LOVED my Dr. Scholl’s!! Yes, I agree that it's probably the early 80s. My high school years were '79 to '83 and this is exactly how we dressed. I LOVED my Dr. Scholl's!! I loved these shoes. I remember that once the rubber sole wore off, these shoes were like walking on ice. I slid and fell so many times one summer that my knees were perpetually skinned. So why do I find myself wanting it order another pair now!?! And I think the above poster is correct, I see a tiny 1983 noted at the bottom of the ad. I loved these shoes. I remember that once the rubber sole wore off, these shoes were like walking on ice. I slid and fell so many times one summer that my knees were perpetually skinned. So why do I find myself wanting it order another pair now!?! And I think the above poster is correct, I see a tiny 1983 noted at the bottom of the ad. CLONK CLONK CLONK. Remember that? I wore them with painter’s pants and an unfortunate Dorothy Hamill haircut. CLONK CLONK CLONK. Remember that? I wore them with painter's pants and an unfortunate Dorothy Hamill haircut. and for hair — I took a picture of Kristy McNichol to the Regis hair salon and asked for that style!! awwwww painter pants!!! we had the Dickies brand...in loads of colors and for hair -- I took a picture of Kristy McNichol to the Regis hair salon and asked for that style!! I got my first “grown up pair” when i was 15 and my mom and i bought matching ones in Singapore of all places (circa 1993)… I have had several pairs since.. 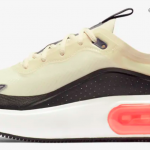 I still think they are the coolest..
BTW- keep an eye on Urban Outfitters- they traditionally will sell the old school Dr. Scholls as part of their summer collections- and they will do some fun colors as part of their routine.. I LOVE these shoes.. my mother wore them- and i remember clomping around the house in hers when i was small (and yes! the pain from coming down on the edge!) I got my first "grown up pair" when i was 15 and my mom and i bought matching ones in Singapore of all places (circa 1993)... I have had several pairs since.. I still think they are the coolest.. BTW- keep an eye on Urban Outfitters- they traditionally will sell the old school Dr. Scholls as part of their summer collections- and they will do some fun colors as part of their routine..
There’s a shoe repair guy on the west side of 6th between 12th and 13th who has them. I remember having to “break in” the strap or the buckle would leave a painful mark on the top of my foot. There's a shoe repair guy on the west side of 6th between 12th and 13th who has them. I remember having to "break in" the strap or the buckle would leave a painful mark on the top of my foot. Thank you, thank you! I was thinking about these just a few weeks ago when I sadly retired my tevas and was wondering what to replace them with. Part of summer’s arrival was bringing out the Dr. Scholls exercise sandals, and they did help you get an extra lump in your calf muscle by Labor Day. I might just have ot get me a pair again. Thank you, thank you! I was thinking about these just a few weeks ago when I sadly retired my tevas and was wondering what to replace them with. Part of summer's arrival was bringing out the Dr. Scholls exercise sandals, and they did help you get an extra lump in your calf muscle by Labor Day. I might just have ot get me a pair again. I was going to guess 1982 because of the web belt with metal slide-n-click buckle that the denim skirted model is wearing, but Charlotte K is right, it does say 1983 in the small print. I’m with Maggie, I can conjure up the sound of those shoes instantly! I was going to guess 1982 because of the web belt with metal slide-n-click buckle that the denim skirted model is wearing, but Charlotte K is right, it does say 1983 in the small print. I'm with Maggie, I can conjure up the sound of those shoes instantly! THANK YOU!!! I did find that Vermont Country Store website, but unfortunately, I was looking for them in RED, which seems to be the only color not revived! I graduated in ’79 and this ad looks a bit more my Jr. high time than high school… Love the Scholl’s-I had white ones. And red ones. And the navy-ish ones too… They matched perfectly with my red/white/blue tie-back smock top obsession beautifully! Stars,stripes, the gamut. The Seventeen ad is def ca. late '70's... I graduated in '79 and this ad looks a bit more my Jr. high time than high school... Love the Scholl's-I had white ones. And red ones. And the navy-ish ones too... They matched perfectly with my red/white/blue tie-back smock top obsession beautifully! Stars,stripes, the gamut. I say early 80s as well. Between ’81-83. About the time The Preppy Handbook was all the rage, and these coeds clearly were cult followers. I say early 80s as well. Between '81-83. About the time The Preppy Handbook was all the rage, and these coeds clearly were cult followers. I had the clogs (in medium blue), which were even uglier than the sandals, if you can believe it. They gave me terrible blisters around my arches where the leather rubbed. Inquiring minds want to know: Why is Princess Diana in that ad? I had the clogs (in medium blue), which were even uglier than the sandals, if you can believe it. They gave me terrible blisters around my arches where the leather rubbed. Inquiring minds want to know: Why is Princess Diana in that ad? I actually own a pair that were my mother’s back in the day. She worked at a drug store where they sold them and used to stock up. I found a brand new pair (box and everything) in her closet when I was a senior in high school. Needless to say I clomped around in them in the spring that year. Still have them, all these years later. Those things wear like iron! I actually own a pair that were my mother's back in the day. She worked at a drug store where they sold them and used to stock up. I found a brand new pair (box and everything) in her closet when I was a senior in high school. Needless to say I clomped around in them in the spring that year. Still have them, all these years later. Those things wear like iron! I had a red knock-off version from Fayva (remember Fayva? “A different kind of shoe store… Faaaayyyva, a different kind of shoe…”). Now can you please find us some Yo-yos and Famolares? There are a couple of pairs of Famolare sandals I had in 1979 or so that I would be so happy to see again today. I had a red knock-off version from Fayva (remember Fayva? "A different kind of shoe store... Faaaayyyva, a different kind of shoe..."). Now can you please find us some Yo-yos and Famolares? There are a couple of pairs of Famolare sandals I had in 1979 or so that I would be so happy to see again today. I have actually tracked down Famolares—a mere shadow of their former selves, sadly. You can find some cute used originals on Etsy and eBay, though. I do LOVE the Vermont Country Store but they way overcharge on everything so it pays to look around. Heads up--they do have the original ones vs the 2.0 on amazon at a much better price: https://www.amazon.com/Dr-Scholls-Womens-Original-Leather/dp/B004MZZFDQ/ref=sr_1_cc_1?s=aps&ie=UTF8&qid=1363020237&sr=1-1-catcorr&keywords=dr+scholls+original I do LOVE the Vermont Country Store but they way overcharge on everything so it pays to look around. The copyright at the bottom of the ad says 1983. OK, I totally want a pair now. I love anything clog-y, orthopedic-y in footwear. I also suggest Worishofer sandals – mine took a few days of wear to break in, but they are AMAZING. I’ve had my pair re-soled rather than buying a new pair when I wore out the bottoms. They are so great. OK, I totally want a pair now. I love anything clog-y, orthopedic-y in footwear. I also suggest Worishofer sandals - mine took a few days of wear to break in, but they are AMAZING. I've had my pair re-soled rather than buying a new pair when I wore out the bottoms. They are so great. I’m wearing them right now – red with cherries painted on the wood! A few years ago a company called Kiss My Feet had them with really cute designs painted on the wood, I bought 2 pair and wear them all the time. They are really helpful if you have planter fasciitis but want to wear sandals. I'm wearing them right now - red with cherries painted on the wood! A few years ago a company called Kiss My Feet had them with really cute designs painted on the wood, I bought 2 pair and wear them all the time. They are really helpful if you have planter fasciitis but want to wear sandals. Bria: I checked amazon too. Once I started putting in my info, it was clear that they were selling out of them permanently–they have limited sizes and colors left. The reds disappeared early. Bria: I checked amazon too. Once I started putting in my info, it was clear that they were selling out of them permanently--they have limited sizes and colors left. The reds disappeared early. I dig Dr. Scholls, but I prefer my beat-up Birks. When I wear them, I’m instantly transported back to high school. If I pair them with a tie-dyed shirt and hippie pants, I look like an aging, granola groupie. I dig Dr. Scholls, but I prefer my beat-up Birks. When I wear them, I'm instantly transported back to high school. If I pair them with a tie-dyed shirt and hippie pants, I look like an aging, granola groupie. I only ever owned the knockoffs, as my mom felt they were not “real shoes” and I had to buy them with my own money. I was always jealous of my cousin! I only ever owned the knockoffs, as my mom felt they were not "real shoes" and I had to buy them with my own money. I was always jealous of my cousin! Got mine in red a few years ago at Urban Outfitters. RED!!! And at a pretty good price. Can’ t remember how much but reasonable enough that they were mine instantly. I had mine on tonite w/jeans and a hippie-ish top. It was a mini flashback to the 70’s. Got mine in red a few years ago at Urban Outfitters. RED!!! And at a pretty good price. Can' t remember how much but reasonable enough that they were mine instantly. I had mine on tonite w/jeans and a hippie-ish top. It was a mini flashback to the 70's. So, I actually own a pair of the new ones that I’ve been wearing for the past two years now. They are black patent, and yes, the bottom is not the traditional wood, but it is black and super cushioned so I don’t care. Because it’s black you can’t tell at a glance that it’s super lightweight, and the weird textured pattern on the shoe bed makes them so comfortable I wear them almost every day in the summer. That said, I want a pair of the real wood ones in a nice bright color. My mom wore navy ones forever and ever and they are imprinted on me (and my sister, I know) as the height of casual cool. So, I actually own a pair of the new ones that I've been wearing for the past two years now. They are black patent, and yes, the bottom is not the traditional wood, but it is black and super cushioned so I don't care. Because it's black you can't tell at a glance that it's super lightweight, and the weird textured pattern on the shoe bed makes them so comfortable I wear them almost every day in the summer. That said, I want a pair of the real wood ones in a nice bright color. My mom wore navy ones forever and ever and they are imprinted on me (and my sister, I know) as the height of casual cool. I got my first pair in 6th grade (I’m 45) and I have never NOT had a pair since. Seriously. I wear them every summer, all summer. People stop me and comment and want thier own pair. Love them. By the way, I consider myself quite a fashionista, not someome that never changed her hair since high school and still wears stonewash. I will be buying another pair this summer, I must have a dozen! I got my first pair in 6th grade (I'm 45) and I have never NOT had a pair since. Seriously. I wear them every summer, all summer. People stop me and comment and want thier own pair. Love them. By the way, I consider myself quite a fashionista, not someome that never changed her hair since high school and still wears stonewash. I will be buying another pair this summer, I must have a dozen! If you like Dr. Scholl’s check out Berkemann Sandals. The biggest difference is you can get extra straps in different colors. 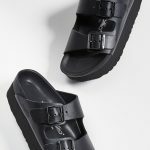 And they straps have a softer inside so I don’t get blisters like I did with Dr.Scholl sandals.